Bolechowski Construction LLC is skilled in replacement window installations, guarantees outstanding results. Today’s vinyl replacement windows have come a long way since those of the past. New vinyl replacement windows now engineered to provide homeowners with a product that is both durable and attractive. Bolechowski Construction LLC's 11 years of experience really show when we install vinyl windows seamlessly. Bolechowski Construction LLC’s professional replacement window installers always take those critical measurements that are the key to a successful installation. We are also available to assist you with selecting a window style that is perfect for your desired home look and your budget. Bolechowski Construction LLC is proud of our reputation for honesty, competence and superior workmanship. 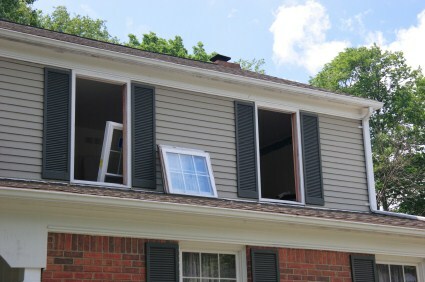 Bolechowski Construction LLC has an outstanding track record of satisfying customers with their windows replacement. Bolechowski Construction LLC will recommend vinyl window styles, colors and solutions that will provide you with a quality product fits the design of your home. We offer an expansive selection of vinyl replacement windows to choose from. Bolechowski Construction LLC has successfully replaced many old windows with vinyl double hung windows, single hung vinyl windows, vinyl casement windows and vinyl picture windows…… you name it, we'll replace it! If you need any type of window replacement, Bolechowski Construction LLC can match the style with your existing architectural design and replace your windows with new, low maintenance vinyl windows. With Bolechowski Construction LLC replacement windows, you’ll never have to paint or stain your window trim again! For distinctive vinyl windows, Bolechowski Construction LLC has been the company of choice for 11 years. Give your home a fresh new look with a new vinyl window install or with new replacement windows. These easy to care for windows will beautify your home and save you money! Bolechowski Construction LLC installs highly energy efficient vinyl windows. Let Bolechowski Construction LLC provide you with exceptional window products and superior customer service at a price you can afford. With us, your vinyl replacement window project will be placed in the hands of professionals. Call today and reap the benefits of these great, energy-efficient and low to no maintenance windows!